The war ended for those bedraggled Confederate veterans who surrendered with General R. E. Lee’s at Appomattox Court House 150 years ago. But what about the Rebel soldiers who were locked away in the horrible Union prison camps with names like Elmira, Point Lookout and Fort Delaware to name a few? Well, their war continued as they fought disease, poor weather and inhuman prison guards. My book Red Clay to Richmond, Trail of the 35th Georgia Infantry Regiment  details this ugly situation in Appendix A which is titled “From Hell to Home.” Every few days I will post here several paragraphs that outline what happened to some of these 35th Georgians while in Federal hands. This is a story that is disgusting, yet you will not read about it in the mainstream sanitized history books. Union prisoner of war camps. For those Georgia Confederate men who were captured in the closing days of the Petersburg campaign – a new kind of hell on earth awaited them. Others like John Rigby had endured this hell for even longer. Rigby had been captured at the beginning of Grant’s Overland Campaign in May 1864. He endured the harsh New York winter of 1864-65 at Elmira only to succumb to disease less than a month after the Appomattox surrender. Federal officials logged, “One blanket, one vest, one shirt, and one pair of pants,” as his remaining possessions at his death. Rigby had used these few items for protection during the previous winter when the thermometer frequently dropped below zero degrees. 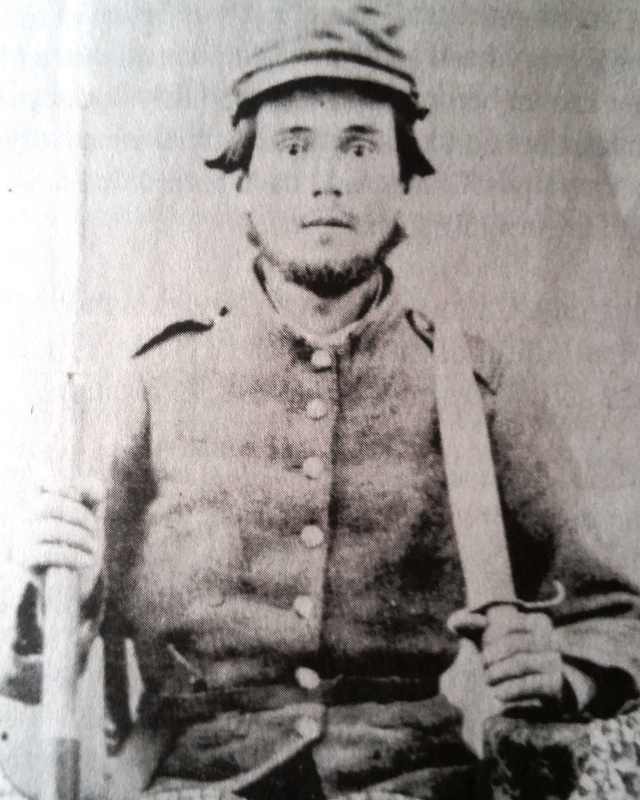 Rigby from Company D out of Troup County had been captured at the Battle of the Wilderness, but he was listed as missing in action on the 35th Georgia Infantry Regiment’s muster rolls. A total of 23 of the 35th Georgians had been captured in this fight and all were listed as MIA. Conditions at Elmira were so stark that the prisoners referred to the place as Hellmira because it would have the highest mortality rate [24.3%] of all Union prisons. Ten of these twenty-three Georgia Confederates would die in prison. Rigby’s wife, Nancy, never knew what had happened to her husband. Since Rigby was the only member of his company captured at the Wilderness, his family never learned of his exact fate. His wife always believed he would come home and she refused to apply for a government veteran’s pension until 1893. She died in 1897. The family buried her at Liberty Cemetery in Bremen, Georgia, with an empty spot next to her grave – for John – should he ever return. *Above info via Rigby Family records courtesy of Mr. Mark Pollard, McDonough, Ga.
*Elmira death stats comes from Elmira: Death Camp of the North by Michael Horigan, 2002, Stackpole Books, p. 193.
my gr gr gr uncle William Jefferson Head was Captain of Co A of the 35th. His brother in law, my gr gr grandfather Frances Marion Head was in Co H of the 1st Ga Cavalry which I understand was assigned to the 35th. WC Windom – I now see the rest of your comment. I am not aware that the 1st Georgia Cavalry was assigned or attached to the 35th Georgia.